Discover more about Rotary on the web. 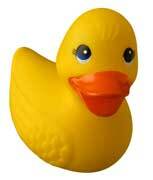 for information about the projects Rotary is doing worldwide. Sort your Records Now and Bring them Down for secure shredding. $10/box donation. Each month during the school year, NM Rotary awards a student selected by a high school department to be the Student of the Month. For February, Jacob Mathewswas chosen by the Mathematics Dept. 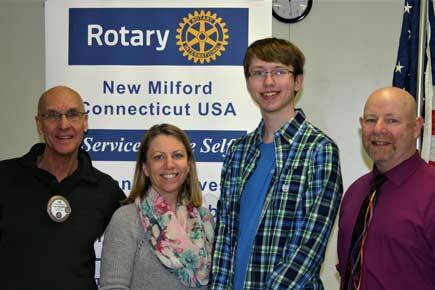 He is shown with his mother Karen, teacher Steve Donahue, and Rotarian Tom McSherry. The March Student of the Month is Michaela Zegarelli representing the Art Dept. 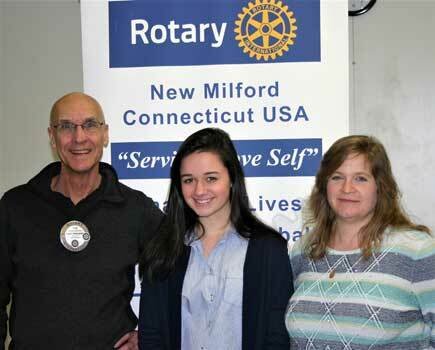 Also pictured is her teacher Kristi Soucie and Rotarian Tom McSherry. Both students received their awards which includes a check for $100 at Rotary's meeting on March 19. Congratulations to our outstanding students. Tick season is here. 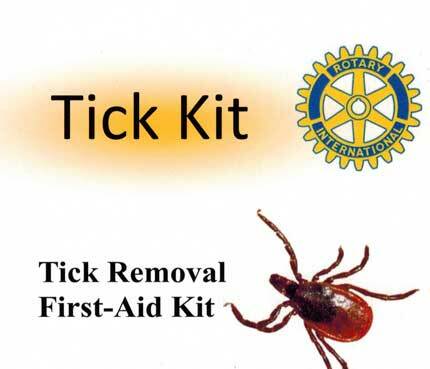 New Milford Rotary is now offering a Tick Removal First-Aid kit . The kit is an important addition to your first aid supplies. Keep one in the car or with your camping or hiking gear. One of the world's most widely printed and quoted statements of business ethics is The Four-Way Test, which was created in 1932 by Rotarian Herbert J. Taylor (who later served as RI president). This 24-word test for employees to follow in their business and professional lives became the guide for sales, production, advertising, and all relations with dealers and customers, and the survival of the company is credited to this simple philosophy. Adopted by Rotary in 1943, The Four-Way Test has been translated into more than a hundred languages and published in thousands of ways. 4. Will it be BENEFICIAL to all concerned?" More information on the "4 Way Test"